I recently found this new program, AdsPayPro, for advertising and marketing my Network Marketing Business and MLSP for virtually nothing. So, I thought I would give you a review. This is NOT a Network Marketing opportunity so if that’s what you are looking for this is not for you. This is only an affiliate program and, more importantly, another tool to build your primary business online! If you are interested in finding out more about mlsp you can find a review here on this incredible affiliate program. Revenue sharing programs are not a new thing, There are a few that have been operating for several years now and paying their members. If you are not familiar with what a revenue sharing program is here is a short overview before I get into how it works. AdsPayPro is an internet traffic ad exchange, customers use the traffic platform to advertise their products and services to others. Also, members can simply use the service to purchase a good amount of traffic for their sites, no matter what type services or products they are selling. AdsPayPro is currently in pre-launch, it is free to join and giving FREE TRIAL accounts with 10 shares during the pre-launch period. The site is scheduled to open officially January 3rd, 2016, they currently have over 700 members and growing daily, according to their site. 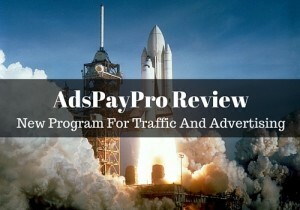 AdsPayPro sells Advertising AdPacks starting at $1 for 100 Ad Credits ( ad views ) and Activating 1 Realtime Accumulation Unit ( RAU ) and is available in amounts up to $10,000. A qualifying combo adpack starts at $50 which will automatically qualify you for the bronze level to be eligible for the revenue sharing. Lower priced Adpacks of $1 to $10 do not qualify you for this but there is an option to upgrade to bronze for $9.99. You must either purchase this upgrade each month or buy a qualifying adpack amount each month to take part in the revenue sharing. Your Member Rank will also be upgraded to Bronze or higher depending on how many active referrals you have made. These RA Units are what is use to track how much you are paid back as a rebate or commission for being an active affiliate. Each day you must make sure you are qualified for the next 24 hours to receive payments by logging in and surfing 10 sites on the traffic exchange network. After complete this task, you will see your RA Units immediately begin to collect or accumulate revenue. AdsPayPro Member Rank or Level is determined by how many members you have personally referred and are upgraded to Bronze or higher. When you have 3 or more referrals that match or exceed your current level, then your Rank will increase accordingly. In addition to the revenue share, there is also a 10% Direct Affiliate Commission on all the AdPack purchases made by your first level direct referrals. The affiliate portion of AdsPayPro is completely voluntary. If a member wishes they can simply purchase ads or participate as a Publisher. StartPages: Are Ads that are shown at the beginning of a surfing session. Login Ads: Are Ads shown once an AdsPayPro member has logged into their account. Solo Mails: The Solo Ads are sent out to members via an email. The cool thing about these ads are that they are shown outside of the system also which is huge! AdsPayPro easy traffic solution is a viable product. If you are looking for something to learn while earning a little something, this site would be a decent choice to start out with. There’s a small learning curve and a small risk ( the risk is joining and doing nothing with it ), the same as with anything you would get involved with on the internet. I have found getting the help one would need in this program, to be better than a lot of other programs I have seen over the years.There is a conference room set up for discussion and training to help you out with getting people informed on what to do and how it all works. A really good thing if you have people interested and need help to explain things. There is a conference room set up for discussion and training to help you out with getting people informed on what to do and how it all works. A really good thing if you have people interested and need help to explain things. A really good thing if you have people interested and need help to explain things. My experience so far with AdsPayPro is that I am already getting a few leads from the system. I believe that you could build this into an unlimited advertising and traffic source for your primary Network Marketing company. I’ve seen leads for both my Primary and my MLSP Affiliate business. 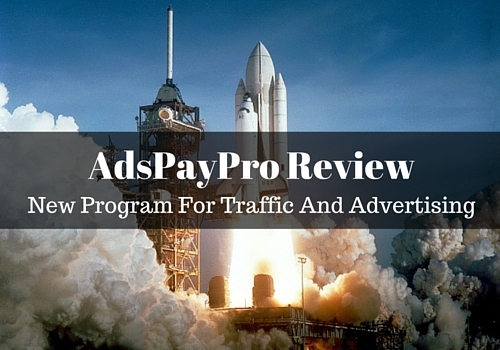 If you enjoyed this post, AdsPayPro Review New Program For Traffic And Advertising, then you will like this one too… MLSP Review What Is It and Why Do I Use It? I’m totally new to revenue sharing and this is a great explanation. Sounds like a great resource. Thanks for sharing Ron. Interesting affiliate product, Ron! Thanks for sharing! Awesome review Ron! Haven’t got into revenue sharing programs, but this review clarifies a lot!! Ron great post. Adspaypro and revenue sharing are new to me. Thank you for the clear breakdown and explanation. I had never heard of adpaypro, and this was a very interesting review of the program and how it works. 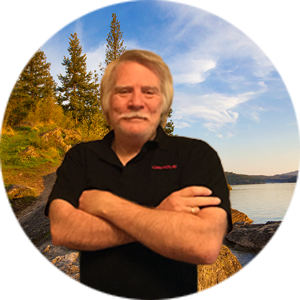 Thanks Ron for another great post! I am part of something similar. I have not tried advertising my primary on it but definatley use the surfing to build revenue. Hope it all goes well for you. Very interesting. I will check it out.. Sounds like a cool traffic souce!!! For sure going to check it out!!! Thanks for sharing Ron!